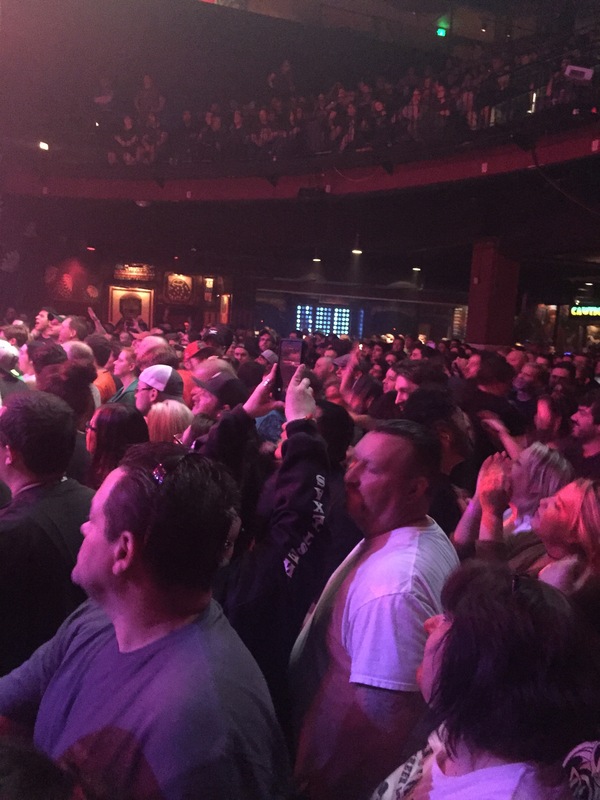 So Monday night, I found out that Flogging Molly was playing at the House of Blues Tuesday night. And small secret, seeing them live has always been on my bucket list. Combine that with the main room at the House of Blues? It was basically a necessity that I went. So I asked my boyfriend if he wanted to have an impromptu date night in the middle of the week, listen to some irish punk music, and dance on a work night. Maybe it’s my charm or my level of excitement but he said yes. 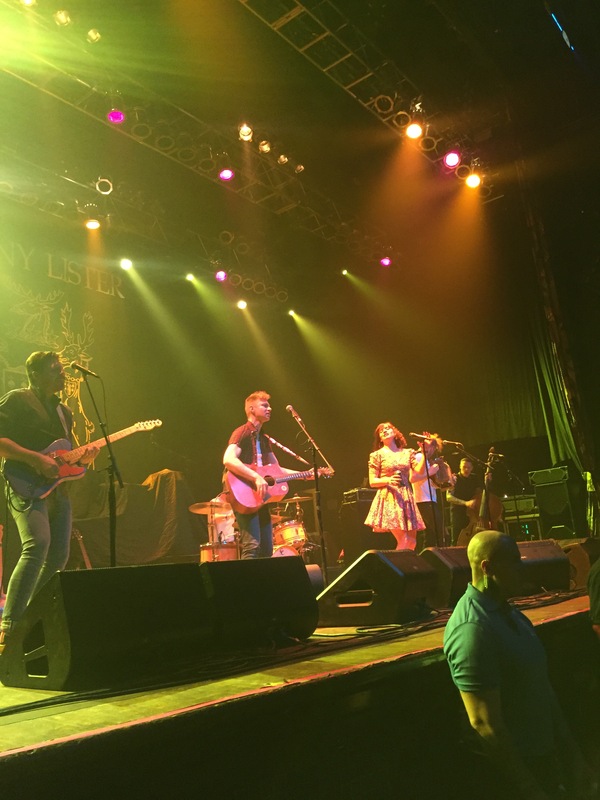 The opening band, Skinny Lister, was a band I’d never heard of before but they were SO much fun. They passed around a huge jug of what I’m assuming was either guiness or distilled whiskey. Luckily it was out before it reached me because the smell was awful. But if you have a chance, SEE THIS BAND. I’m usually not a fan of opening bands but these guys were hilarious, charming, and the most irish ever. Now to the main event. Flogging Molly and Irish punk reminds me of home. I spent some time growing up in London and we traveled to Ireland frequently because of my dad’s work. So Ireland always just felt like a second home at the time. And Flogging Molly (along with Dropkick Murphys and the like) make me realize just how lucky i was to have grown up there. 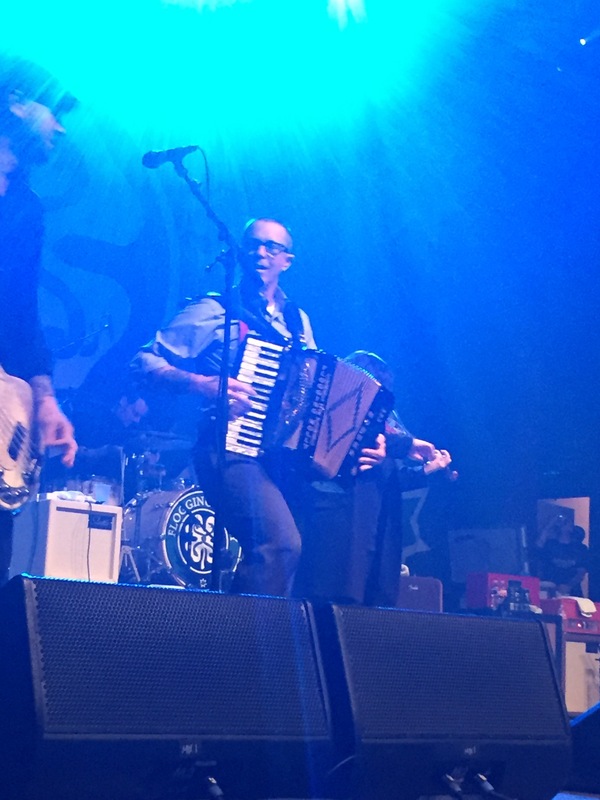 Especially with the terrorist attack near London Parliament on Wednesday, it seemed even better timing that I had a taste of home with seeing FLogging Molly live. They were hilarious, the lead singer is probably in his 50s and absolutely killed it. Their enthusiasm was infectious and you could tell they thoroughly enjoyed what they did. I love concerts where you can tell that the bands, no matter how many shows they’ve played, are still completely in love with what they do. And Flogging Molly was no different. I was pulled into their stories, how avidly they loved Guiness, and how stoked they were to simply be alive. 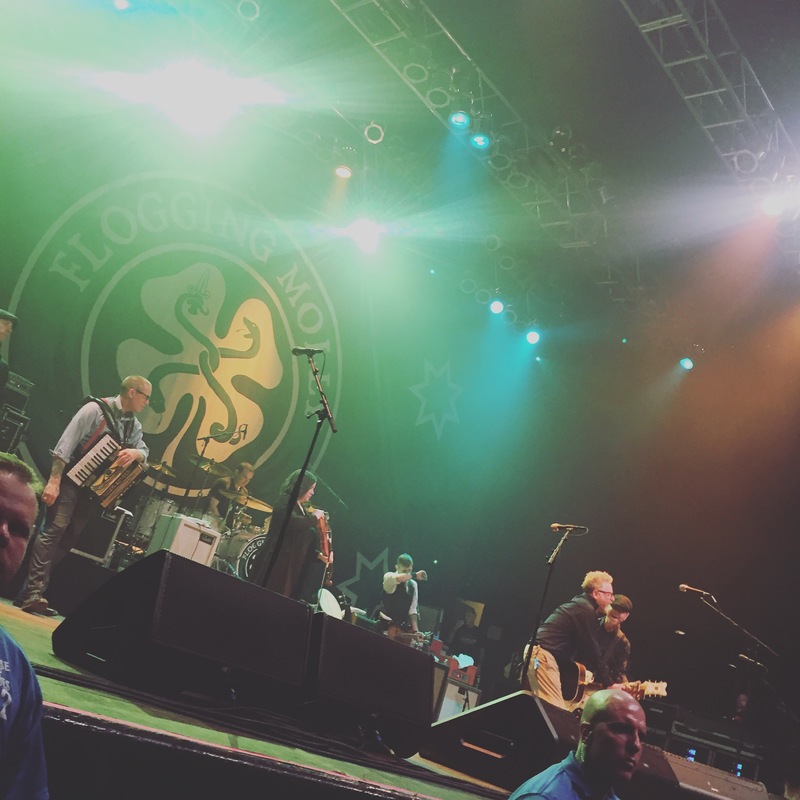 If you have the chance, go see Flogging Molly live. They’re brilliant. 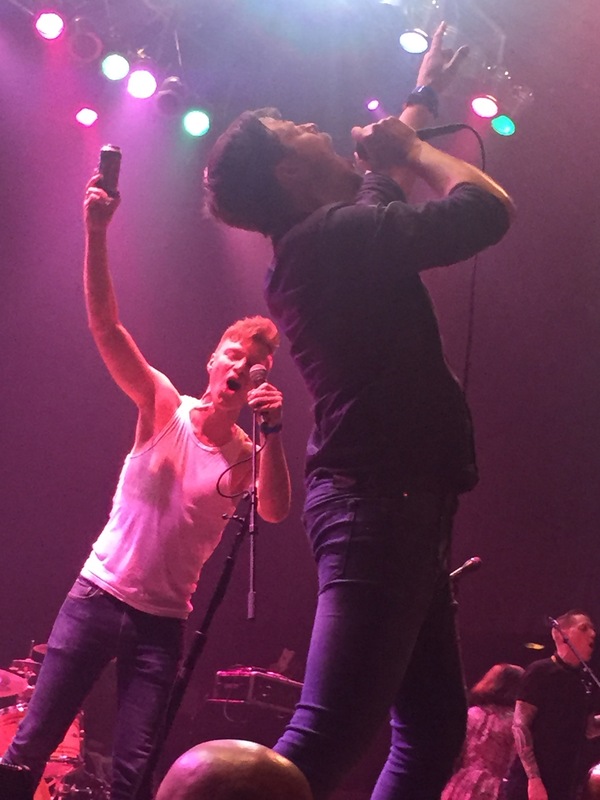 Even more so if Skinny Lister is opening. And hug your loved ones. Terrorism knows no boundaries and it knows not of where you come from.